8 to 10 billion dollars of food is wasted in Australia every year. Four million tonnes of food ends up in landfill each year. At the same time, two million Australians rely on food relief. Food wastage and food insecurity are critical issues in today’s society and the responsibility to contribute to positive change, lies with each and every person. OzHarvest is the first Australian organisation to rescue all types of perishable food that would have otherwise ended in the landfill. 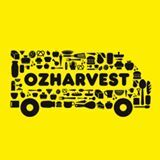 Every day OzHarvest drivers using a fleet of 30 iconic yellow vans pick up quality surplus food from donors and deliver to around 680 charities nationwide. To date, OzHarvest has diverted more than 12 million kilos of surplus food from ending up in the landfill and delivered more than 38 million meals to Australians in need. Our NEST (Nutrition Education Sustenance Training) program teaches vulnerable people, the skills and knowledge to nurture themselves through healthy eating choices. Our other program, nourish, educates, trains, mentors and provides hope to disadvantaged youth by providing them with employment pathways in the Hospitality Industry. By implementing small changes and behaviors around our homes and workplace, we can all do our bit to minimise food waste and save our planet. Selecting good quality produce goes without saying for any restaurant, café, bar or hotel. What happens to the fruits and veggies that aren’t as cosmetically appealing? Approximately 40-50% of all fruits and vegetables are wasted, based on their appearance. Although a carrot might not be perfectly straight, or an apple vibrantly green, they still taste delicious on the inside. Often fresh produce which is slightly imperfect is discounted in price, which means you get more for your dollar and aren’t contributing to landfill. It seems relatively straightforward for most to ensure you set your fridge at the correct temperature. It is recommended to keep a fridge between 1-5°C. This universal temperature range is best for storing fresh produce. Leaving any food out which is intended to be refrigerated, can become spoiled and ultimately it is wasted. When ordering stock, think carefully! Over-ordering will most likely result in some of the stock to being wasted and/or thrown out. The following is straight forward, but must order less of ingredients which are least and more of the ingredients commonly used. Have you ever noticed particular items on your menu are never finished? Perhaps you could reduce the portion sizes of the food you serve to customers. Not only will this reduce your impact on food wastage and decrease monetary expenses, it will also encourage customers to be mindful about food waste when dining out. Evey day we collect surplus food from incredibly generous food donors all over Australia. We collect food from local businesses, supermarkets, cafes to high-end restaurants such as Peter Gilmore’s Quay, and Rockpool bar and Grill. We often collect food from TV show production sets as well as photo shoots or conferences. Your business can also be part of our ever growing family! Becoming an OzHarvest food donor means your business and the environment will benefit. The disposal of food can be expensive and by reducing the disposal of excess food, you will see significant savings! Most importantly all food donors are making a valuable impact and contribution to those in the community. It is largely absurd that we produce too much food for consumption yet so many people still go hungry! There are three ways in which you can help OzHarvest and reducing food waste! Donate your time– We have over 1000 volunteers who positively contribute whether it be collecting and delivering food or assisting on market stalls and events. Donate money– For every $1 donated to OzHarvest, we can deliver 2 meals to those in need. Donate food– Reduce the amount of food that would have been destined for the landfill, and help someone in need. Food waste is a problem in the food service sector that needs to attention! With the support from many, we will fight food waste!! Alsco would like to thank Louise Tran, Communications & Marketing Manager of OzHarvest for sharing this wonderful article. For more information visit www.ozharvest.org or call 1800 108 006. Just like OzHarvest, we at Alsco promote better and greener environment. Your restaurant can also stop wastage by using clean reusable wipes instead of disposable ones which end up in landfills. And you can have this serviced – collected, laundered and delivered back to you ready for use. Check out this page for more details or you can Call us now for more information – 1300 659 892!